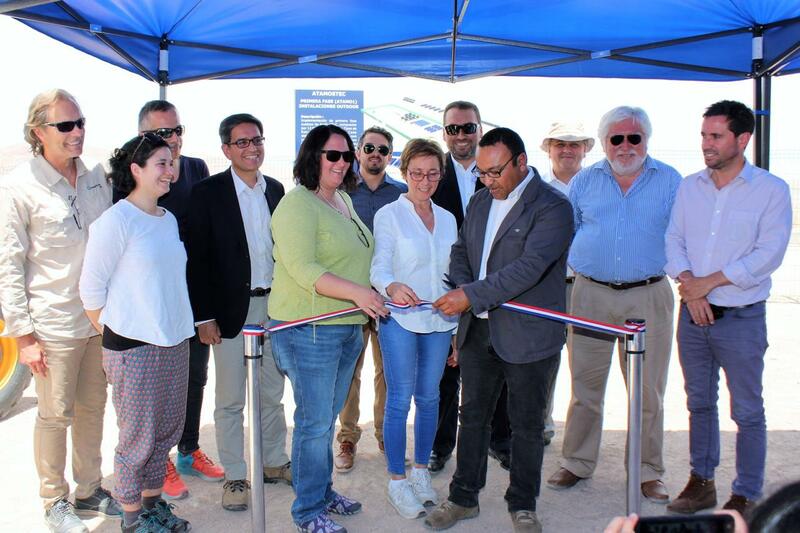 The construction of the first applied outdoor research facilities of AtaMoS-TeC was officially initiated with a ceremony at the PSDA, on Friday, January 18th. It will consist of 12 photovoltaic systems of 1.2KWp, divided into three bifacial technologies and one monofacial. The ceremony was attended by regional and university authorities and representatives of the 17 partner institutions of the public-private consortium developed by SERC Chile. Edward Fuentealba, leader of Line 3 of SERC Chile and executive director of AtaMoS-TeC, highlighted the progress of the project to the press and described it as “a unique initiative that brings together the capacities of different institutions, in view of the great challenge that the sector has , which is to reduce the level costs of solar energy to values ​​below US $25 per MWh “. Meanwhile, the manager of AtaMoS-TeC, Bárbara Silva, provides details of the next phases of the project: In February of this year the installation of the first modules that are adapted to the conditions of the Atacama Desert will be completed. In March, the complete system is tested and, if everything is fine, in April the second phase will be launched, which lasts one year and consists of the concrete measurement of module behavior, system balance, operation and maintenance. These results will allow for improvements in order to become a commercial version.